Mac OSX 10.11 or later.
" Being a small business owner, I needed payroll software that wouldn't cost too much, was simple to use and kept my company in compliance with legal requirements. Lightning Payroll does exactly that. Four steps and the payroll is done. " " Time is always of the essence when running your own business, so it’s important to find time saving, efficient solutions. 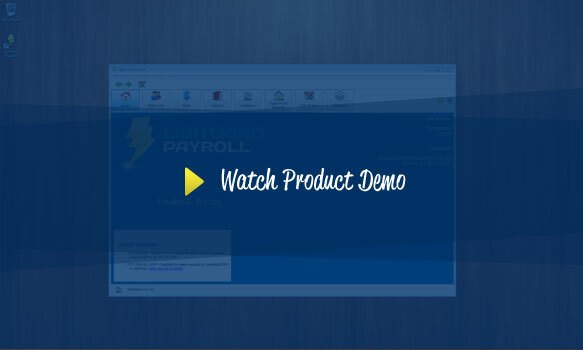 Lightning Payroll provides us with the tools and technical backup we require, but most importantly within a system I can trust. " " We are a family business, with two Video Ezy stores in Sydney. We have found Lightning Payroll’s ease-of-use to be amazing. For us, its major accolade is the ability to email payslips through to our staff; One of the many on-going enhancements of Lightning Payroll. "